Teppan Edo is a Teppanyaki Restaurant in the Japan Pavilion at Epcot, Walt Disney World. Your chef cooks your meal on a large grill in front of you with entertaining jokes & tricks as you wait. Our review of Teppan Edo includes essential information and a video of a chef cooking a meal. Teppanyaki or Hibachi Restaurants are not as common in Europe compared to the United States. 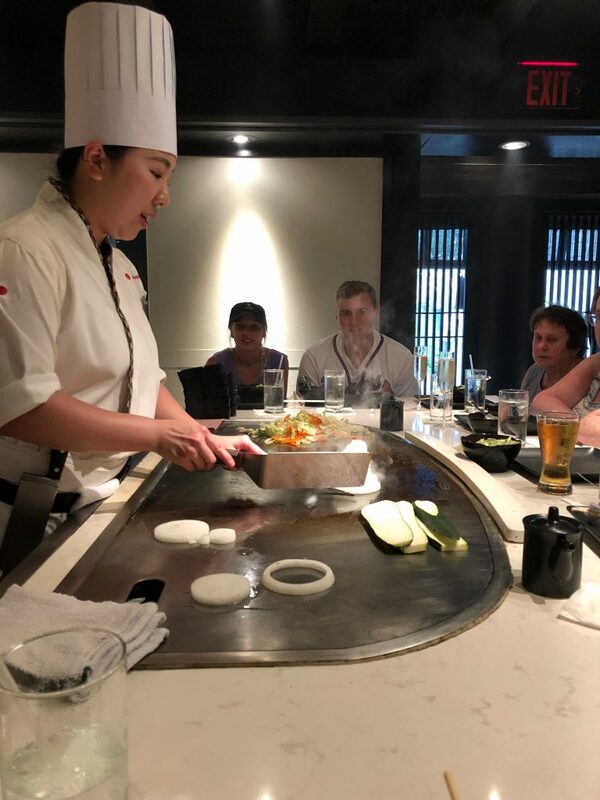 For European guests, Teppan Edo offers a new exciting dining experience. Many American guests, however, will quickly compare the venue to local eateries. 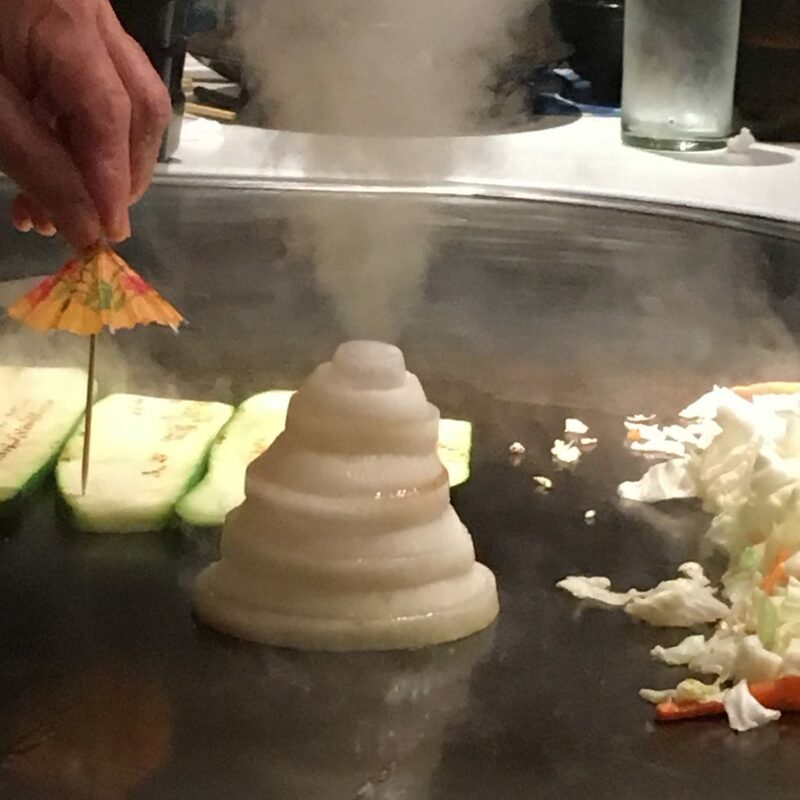 The food at Teppan Edo is certainly good and large portions are served but many guests familiar with Hibachi Restaurants do provide a mixed review of the experience. 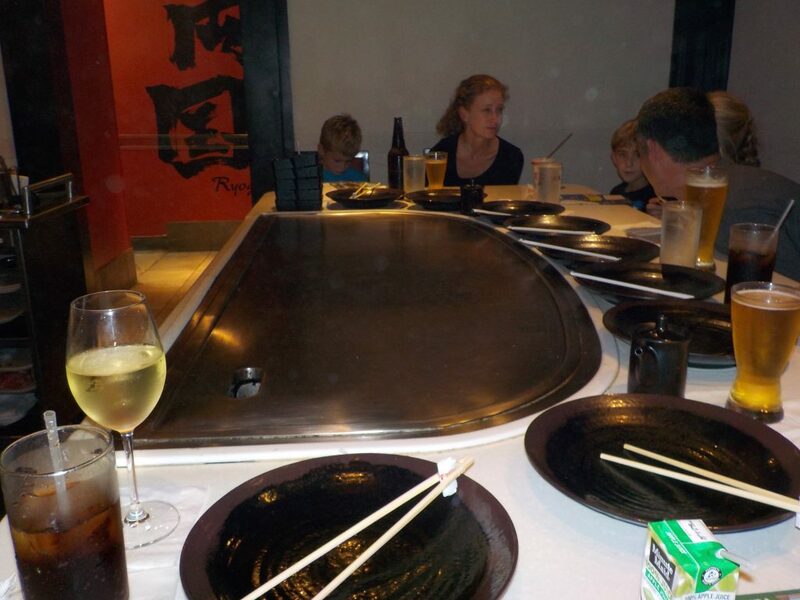 Teppan Edo contains several small dining rooms each containing 4 teppanyaki grills. Guests are sat around the grill and your station will usually contain 8 guests, on our last visit it was actually 9. 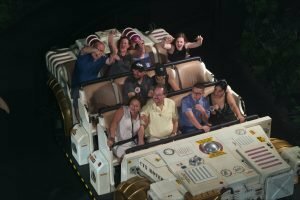 Unless you are a large group you will be sat with other guests. Guests can choose from a selection of steak, chicken, seafood and vegetable entrées or even a mixed choice. Dishes are served with vegetables, Udon noodles and steamed rice. In recent years the food at Teppan Edo has improved but the stage show elements have been reduced. Tricks your chef is likely to perform include creating a volcano and various juggling tricks. Advanced Dining Reservations are highly recommended for Teppan Edo and the Disney Dining Plan is accepted and costs 1 credit. Teppan Edo does represent good value on the Disney Dining Plan. 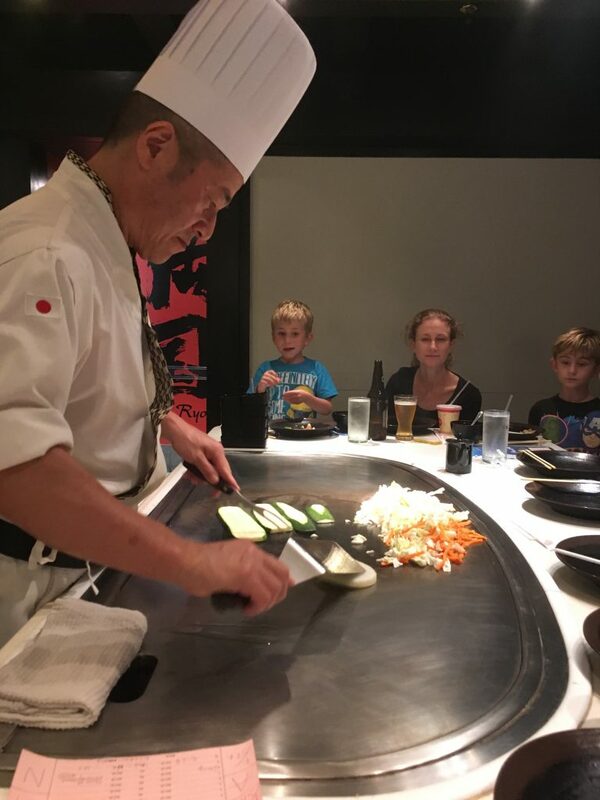 Teppan Edo caters for food allergies but guests should tell the restaurant on both booking and arrival. We like Teppan Edo and regularly visit when at Walt Disney World. The stage show is a bit repetitive and does not change much between visits. Food is always good and has some of the best tasting meat at Walt Disney World. Guests who have never visited a Teppanyaki/Hibachi Restaurant before will probably love Teppan Edo. If this is you…you will have a great time! Our video shows a typical Teppan Edo chef at work and some of the tricks you will likely see performed.